Tonight I spent a snowy evening indoors watching 30 Rock. After plowing through most of season one, I was feeling a bit Liz Lemon-ed out...so I decided to take the lemon theme into the kitchen and try out Ottelenghi's preserved lemon recipe. I've the done the first part: cut a cross into 6 unwaxed lemons lengthways (stopping short 2 cm from the bottom so the lemon is still intact). 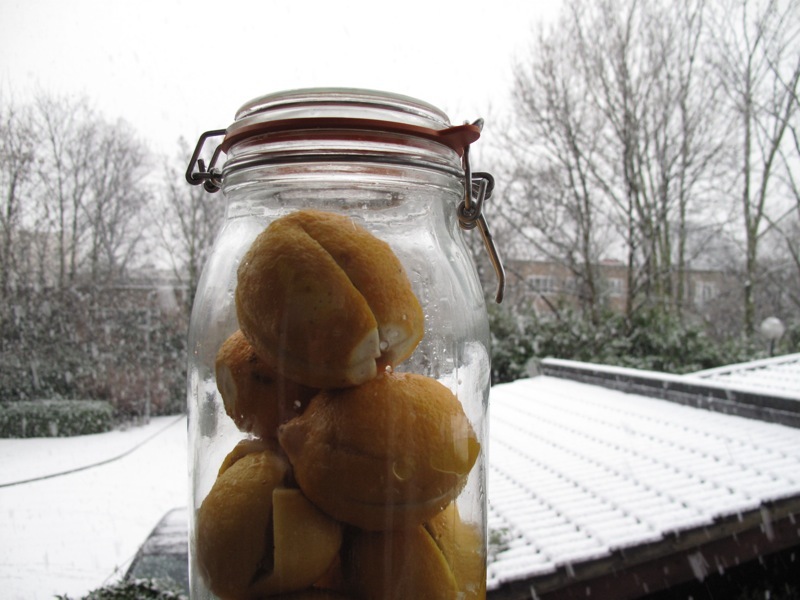 Stuff each lemon with 1 tablespoon of sea salt then seal them in a sterilised jar.